If you’re considering ending your marriage, learning to speak the “language” of divorce in Canada is an important first step. Below you will find a brief glossary of terms related to the separation process. These definitions are overviews, provided to help you begin to understand what is involved in ending a marriage. Alimony – Another word for spousal support. Normally awarded to compensate for financial hardships suffered due to the marriage or the breakdown of the marriage. Alternative Dispute Resolution – “Alternative” to resolving the dispute in court – for instance, mediation or negotiation. Annulment – This is when you claim that your marriage is void for some reason – such as it was never consumated, or one party was already married. Not the same as a religious annulment. Assessment – This is the process where a trained psychologist or social worker evaluates your parenting skills, your spouse’s parenting skills, performs psychological tests, evaluates the children’s wishes and needs, and interviews teachers, counselors, etc to find out what the best custody and access arrangement for your children is. Certificate of Divorce – This is a certificate issued by a court stating that your divorce is final and can no longer be appealed. This is the document normally required to prove that you are divorced. Child Support – This term refers to the money paid by one parent to the other to help cover a child’s living expenses. Although this may seem straightforward on the surface, determining a person’s income on which to base support payments and deciding what expenses qualify as “add ons” to basic child support can be problematic. Collaborative Divorce – In a collaborative divorce, the parties and their legal representatives agree in advance that they will resolve their differences justly and equitably without turning to the courts. What many would call an “ideal divorce,” the goal of the collaborative divorce is the future well-being of a family. A collaborative divorce can only occur when everyone is committed to honesty, cooperation, integrity and professionalism. Collusion – Collusion is the agreement between two (or more) parties to act together to achieve an illegal goal. Before the court grants a divorce application, a judge will want to ensure that divorcing parties haven’t made a false claim simply to get a quick decision. For example, a husband and wife could agree to use adultery as the grounds for divorce even if no adultery was committed, or agree that they separated a year ago when they did not. Collusion is illegal. Common Law Spouse – “Common law status” takes effect when a man and woman who are eligible to marry, but have not done so, have lived together for a certain period of time in a marriage-like relationship. Counselling – Even the friendliest divorce can be a very emotional and stressful experience. To better cope with the pressure, you may want to consider seeing a professional counselor. Therapists can provide invaluable support with understanding, resolving, and coping with the emotional issues surrounding your divorce. Double Dipping – Double dipping describes the unfairness that results when property is awarded to a spouse in the division of property during a divorce, but is also treated as a source of income for purposes of calculating spousal support. The most common example of double dipping is a pension, which is both an asset and a stream of income. In a divorce, the value of a pension gets divided between the spouses. Then, when the pension holder retires, he or she may need to pay spousal support based on the income from the pension. The newest form of double dipping is receiving child support for one child from two fathers: both the biological father and a step-father. Guidelines – Child support is payable according to the Child Support Guidelines<. Under the guidelines, the amount of child support you receive or pay depends on your income, the number of children you have, and where you live. Household Goods – Everyday items that make your house a “home” — furniture, appliances, linen, electronics, cutlery — are called “household goods.” For Canadian family law purposes, household goods are valued at “garage sale value” – basically, what you could receive for them if you sold them at a garage sale. While the individual value of specific items may be modest, the division of household goods sometimes becomes a tug of war as each small decision turns into a battleground. Ideally, you and your spouse will be able to divide the items without the benefit of legal counsel, as the cost of involving lawyers is probably greater than the value of your household goods. separation agreement will state that your spouse indemnifies you against certain loans your spouse has. If for some reason you end up being required to pay these loans, the indemnity gives you the right to be reimbursed by your ex. Lawyer – A lawyer is someone who is licensed to practice the law, and is also known as a barrister or solicitor. But your lawyer is more than your legal advocate. He or she is also your advisor, counselor, and an “encyclopedia” of knowledge about divorce law. Because divorce is so stressful and because the outcome of a divorce proceeding will have a tremendous impact on your life, it is extremely important that you select a legal professional that has experience with the family law in your province and is someone with whom you feel you can work effectively. Marriage Contract – A marriage contract (also known as a “prenup” or “prenuptial agreement”) is a contract entered into by two people who are about to marry or are already married. The marriage contract sets out what happens in financial terms if the couple separates or one spouse passes away. Although some people find the concept of a marriage contract repulsive, the reality is that everyone has a marriage contract: the terms of the marriage contract are set out by the government in the Divorce Act. Marriage Counseling – For some couples, working with a marriage counselor, a trained professional with experience in the problems of wedlock, will help them resolve the issues of their relationship and allow their marriage to thrive again. Given how difficult a separation or divorce is, it is often worth trying marriage counseling. Post-secondary education – The calculation of child support for “children” attending post-secondary education (university, college, and so on) is problematic. The child support guidelines leave it to the judge’s discretion as to how much child support is payable in these circumstances. There are two general trends in the case law. First, the court may order that the child support payor pay the table amount of child support, plus his or her proportionate share of a limited number of post-secondary education expenses (normally, tuition, residence and books). Another approach taken by many judges is to require payment of approximately half the table amount of child support, plus the proportionate share of all post-secondary expenses (including food, transportation, and so on). Prenuptial Agreement – A prenuptial agreement is a contract between two people in a relationship that governs what the financial consequences will be in the case of separation, or if one of them passes away. In Ontario, there are two types of prenuptial agreements: marriage contracts and cohabitation agreements. Marriage contracts are prenups between people who intend to marry in the near future or who are already married. Cohabitation agreements are agreements between an unmarried couple who are living in a common-law relationship. Questioning – Questioning is when the opposing lawyer asks you questions about anything he or she thinks is relevant to your divorce. Everything you say will be written down by a reporter, who will produce a transcript that can be relied on as evidence by the opposing lawyer. Questioning occurs at a court reporter’s office, and not in court. A judge is not present. 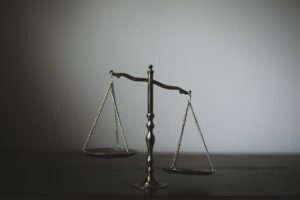 The goal of questioning is to encourage a speedy settlement or, if settlement is not reached, to promote a fair trial by allowing each side to learn exactly what the other is expected to say. In the course of the questioning each lawyer learns where there are areas of agreement so they can avoid obtaining unnecessary evidence for the divorce. Admissions are obtained that can be used at the trial. . Each side is tied down to a position. At the end of the questioning each side should have the data it wants about the other party’s income, assets, liabilities, evidence to be given on important points, and the back-up documentation. Armed with this information, it is much easier for each lawyer to assess the strengths and weaknesses of the case, negotiate a fair settlement or represent his or her client effectively. While questioning is not required in all divorces, it is important that it be done in complex cases, in cases that are going to trial, or in cases where the facts of the case are hotly disputed. Questions about Divorce – It is common to have questions about divorce: how do I begin, how long will it take, how much will it cost, who will raise our children, who will get our home, etc. Divorce is complicated, but the help of a compassionate, experienced lawyer means that it doesn’t have to be confusing. A good lawyer will be prepared to answer all your questions in detail and make you as comfortable as possible with the process of ending your marriage.